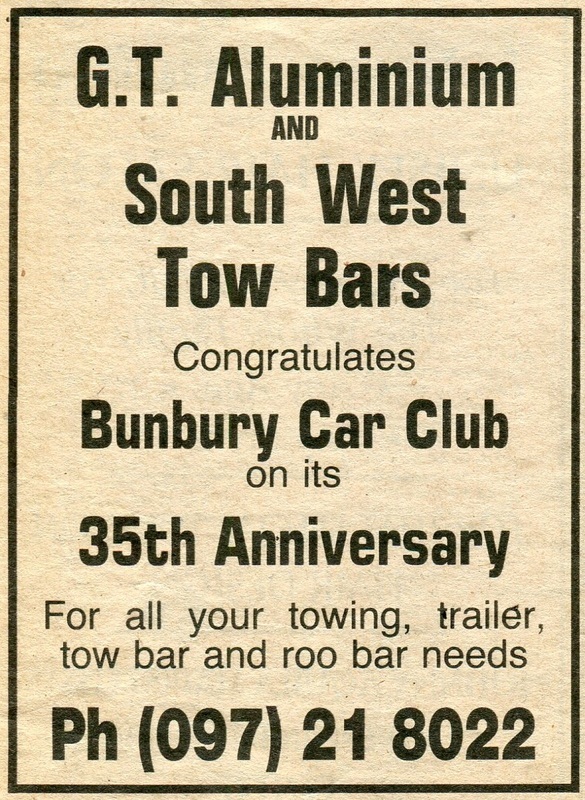 With the closure of blicks raceway the Bunbury Car Club found itself without a racetrack,after considering many sites it was decided the new Bunbury speedway would be built at its present site on the North Boyanup Road. Twenty two acres of swamp land was cleared and filled to obtain the five hundred and ten metre arena with banked spectator stands, permanent brick buildings including canteen's toilets, and admission boxes. The initial plans were to build a day time speedway to service the local members and to host inter club racing. however its was soon a reality that with the leadership of President John Hudson and Bunbury's enaugral promoter Tom Dillon that this venue was going to rival any speedway in Australia. 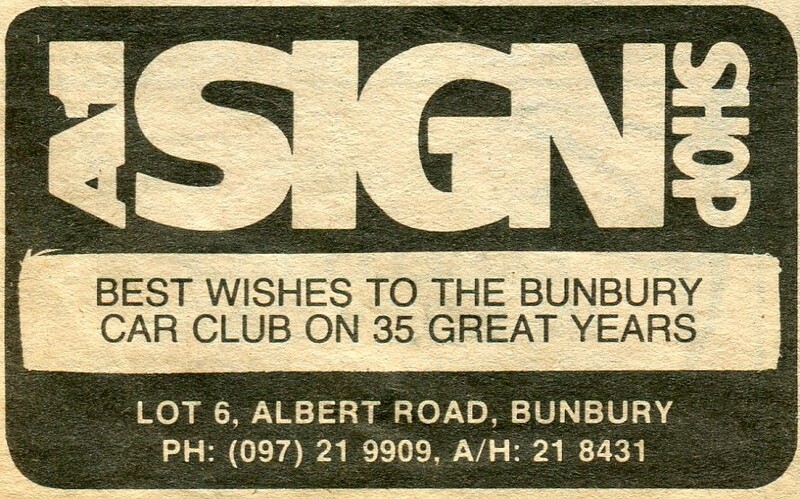 In March of nineteen seventy two the lease was signed with the Bunbury Town Council and the clearing started, by May of ninteen seventy two Colin Resta and George Lane moved in the earth moving equipment from mainly Piacentini's,Catalano's,VB Nani's,Max Shepherd and Roman Kozerski, many other contractors made there equipment available, these machines were mainly operated by employees of the company's that volunteered many hours of work to the project, Those included Frank McCaul who worked for Alec Eller a cartage contractor in Bunbury, The initial plans were drawn up in the kitchen of George lane on a piece of three ply and shortley after George and Colin Resta marked out the track using a length of rope on a stick in the infield to make sure that both corners were identical. The timber track fence and lighting was installed by many volunteers, the pit gates and latch systems that were built by Dan Kalpakoff was fitted. Extensive lighting was erected throughout the spectator area,pits,carparks and around the race track, all twenty two acres was utilised with a large pit area and masive car parks,in the early years competitor numbers were so great that some racecars had to be pitted in the public parking area, also the public had to angle park both sides of the North Boyanup Road back to the airport and south past Lilydale Road, Centenary Road was also full, the machinary used was very modern for its time but would have been hard work on todays standard's,all these machines and operators would have to do their days work for the boss and then head of to the swamp to build a speedway. 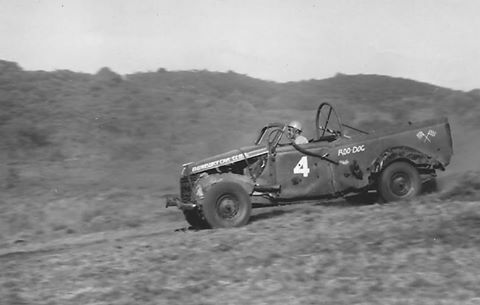 Roo Dog as we know him first raced at Paddys Blunders in the sixtee's in a 1939 Ford V8 ute, he was actively involved in the construction of Blicks Raceway were he raced a 1948 Vangaurd hot rod with a mid mounted Ford V8 engine and also a supermodified. 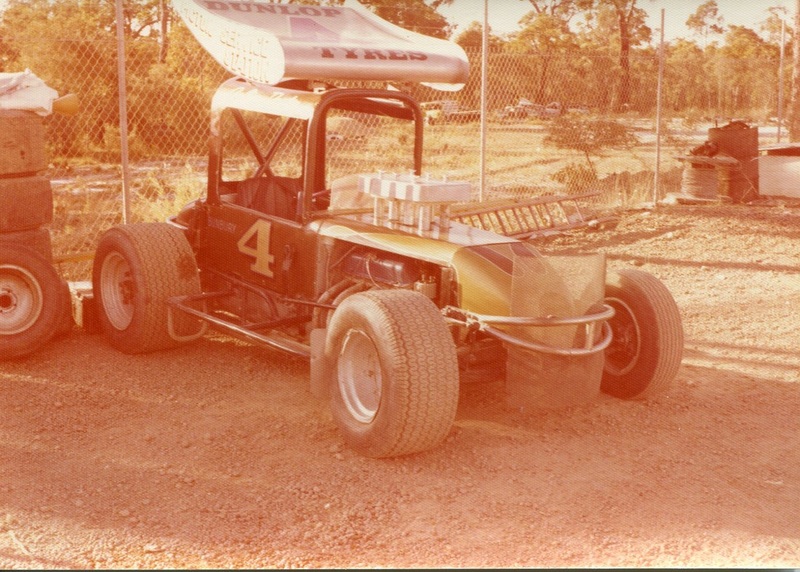 Colin in the number 4 blue Vangaurd became an icon for hot rod racing at many southwest tracks during the late sixtee's, with the opening of the new Collie track and Bunbury Speedway Colin built a new supermodified that was V8 powered. In 1975 1976 Colin purchased his new Supermodified and began to match it with the Claremont super stars of the day at Bunbury, with the Ford 302 fuel injected Winsor Colin would take on the likes of Martin Laughton, Ray Geneve and Alf Barbagallo. 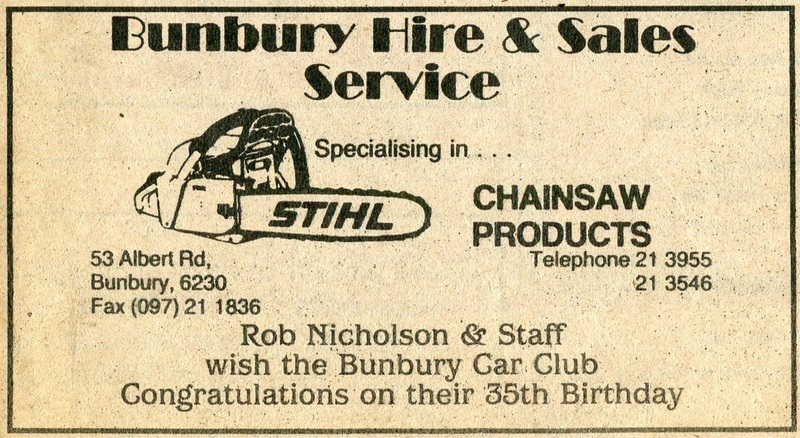 As a member of the Bunbury Car Club colin has been envolved in many roles within the club, Colins life time devotion to his job at Piacentini's has enabled him to use the equipment available at the massive earthmoving company for the benefit of the club. 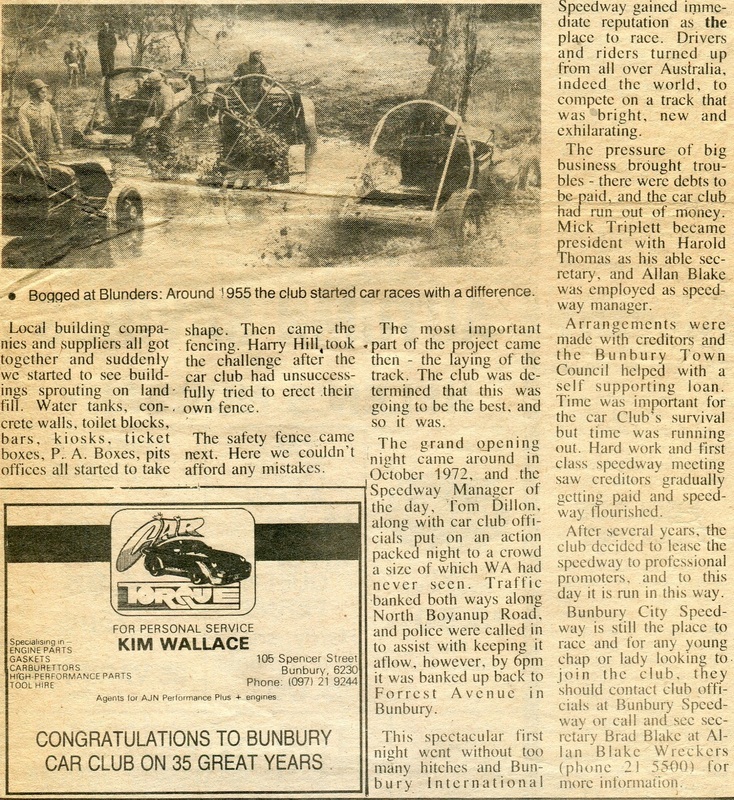 On many occasions Colin has had to step from the grader into his race car and compete, Colin was awarded life membership to the Bunbury Car Club in ?????? The year is 2012 and Colin Resta is still maintaining and improving the Bunbury venue along with Murray Hanson and Colin Francis. 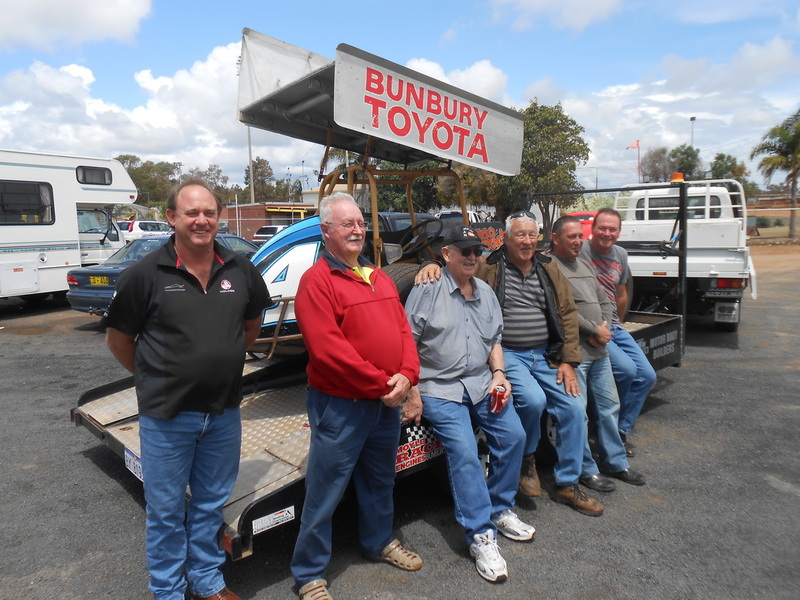 At a recent Bunbury Car Club Reunion Colin pulled his sprinter out of the shed and brought it along for the display. Supermodified Sprintcar mates Neville Bornaticie Limited - Errol Moore Supermod - Ray Geneve legend - Roo Dog himself - John Krikke - Eddy Gobby sprintcar champions. 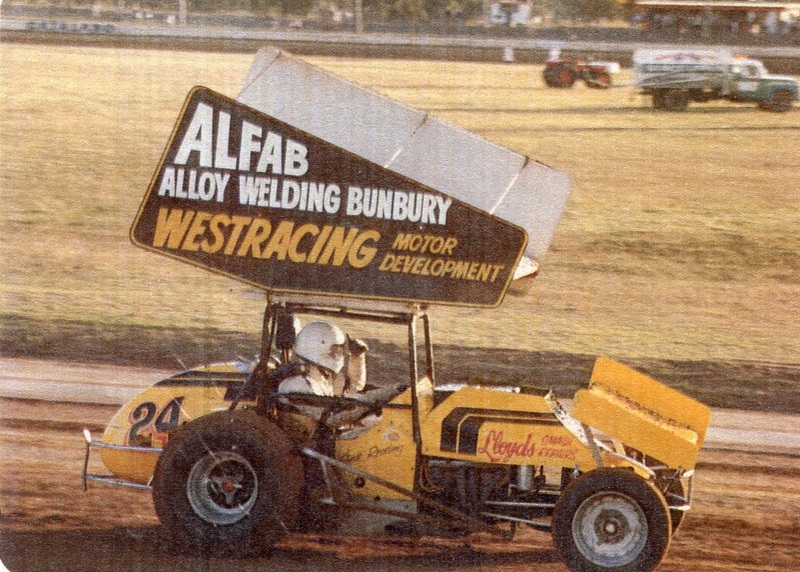 This Ford 302 injected supermodified arrived just in time for the opening of the new Bunbury Speedway, This car gave Colin to take it up to the Perth drivers that raced at Bunbury. Colin later brought a sprintcar of Ernie Reading with the plans of Limited Sprintcar racing, The problem was the new rules banning fuel injection saw Colin withdraw from the sport and push the car to the back of the shed, were it still is today. Ian first joined the Bunbury Car Club in 1963 when he was racing a MGA sports car on the black track at Caversham and on the Bunbury street circuit, later Ian retired from road racing to concentrate on hot rod racing at Blicks Raceway. Ian raced the 1965 - 1966 season and went on to become club champion, the following season ian built a Pontiac powered super modified however the car never lived up to expectations and Ian retired from racing. 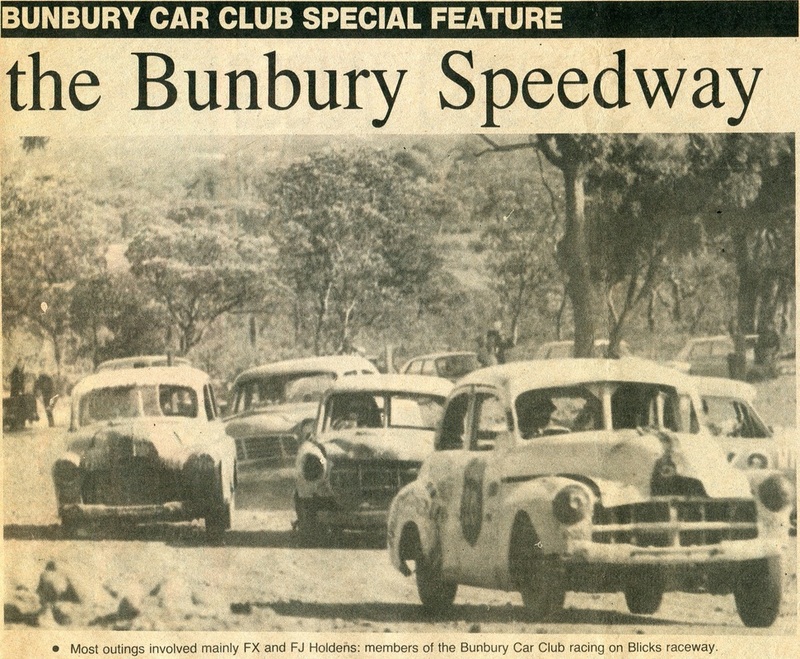 With the construction of Bunbury Speedway Ian was givern the job of organising the installation of the lighting. 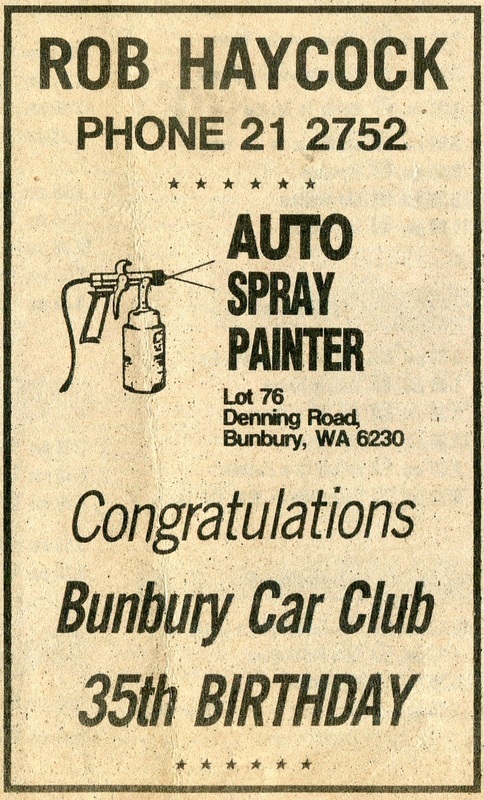 In recognition of his dedication and service Ian was awarded life membership to the Bunbury Car Club. 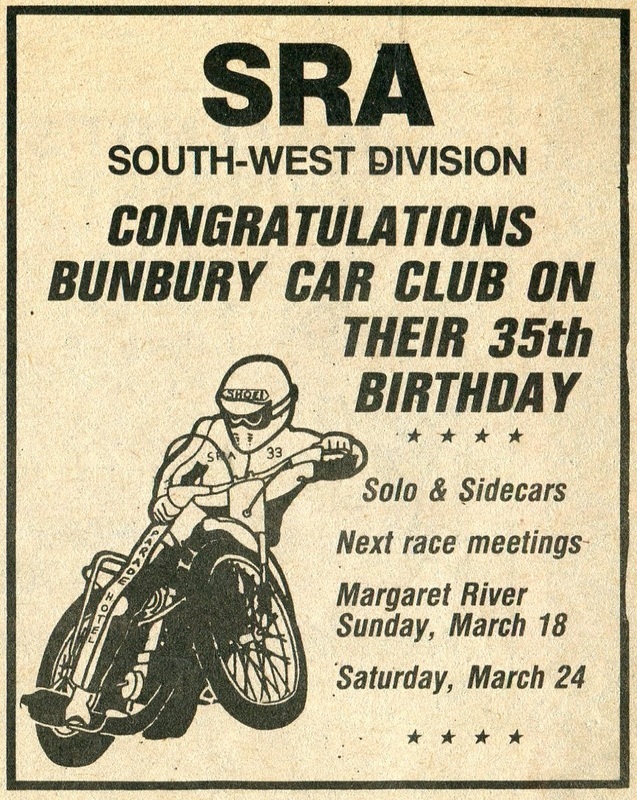 Like many Bunbury Speedway drivers Merrick's or Mick as most know him race career started at Blicks Raceway, Mick's only season at Blicks saw him race a FJ Holden stockie and went on to win the top points for the season. 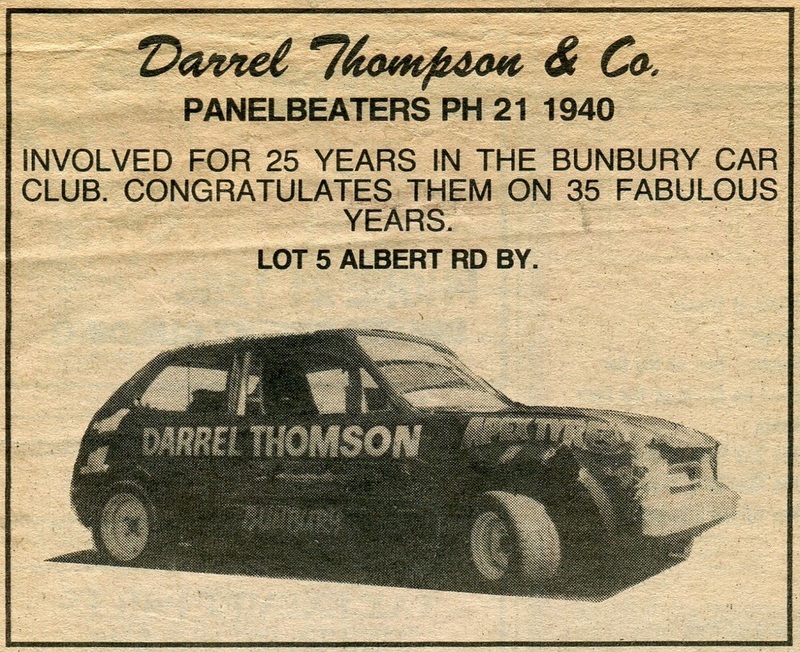 Mick then built a falcon to compete in division two saloons at the new Collie Speedway, The following year Bunbury Speedway opened and Mick graduated to a Ford V8 Fairlane in division 1. 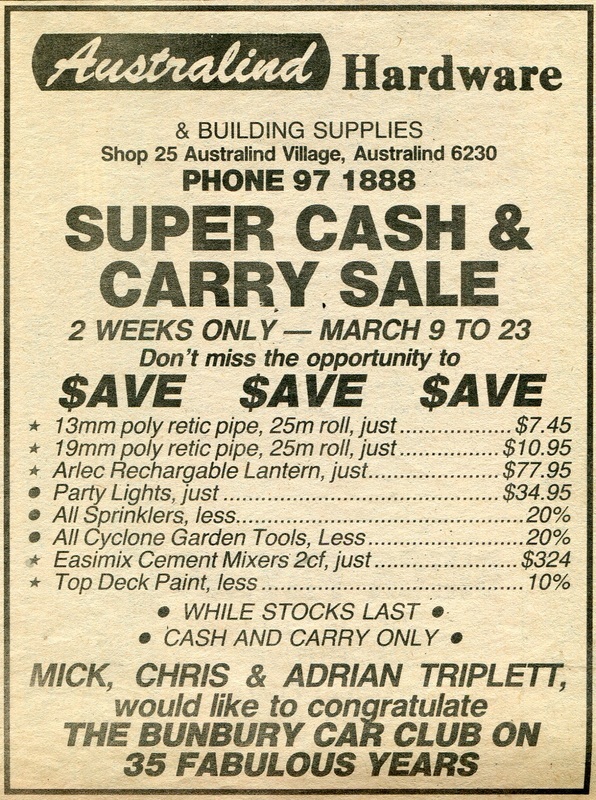 The heavy Fairlane was not very successful and the next season Mick built the first XA Falcon hardtop to race speedway in Australia, he raced the car at Bunbury with some success but after a tour of Victoria and Tasmania the car was onsold. 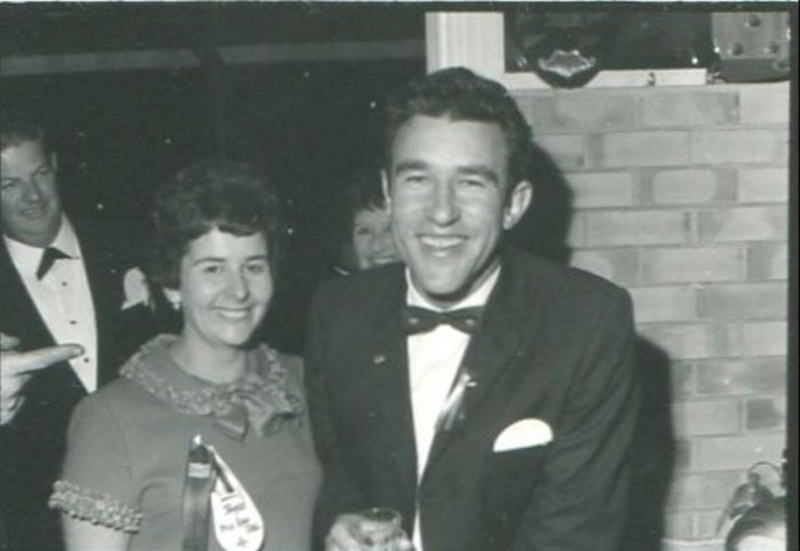 Without a doubt Micks most successful period in racing came when he built the Datsun 1600, The Gollan Motors Nissan gave Mick the ability to get back on the podium and win feature events. 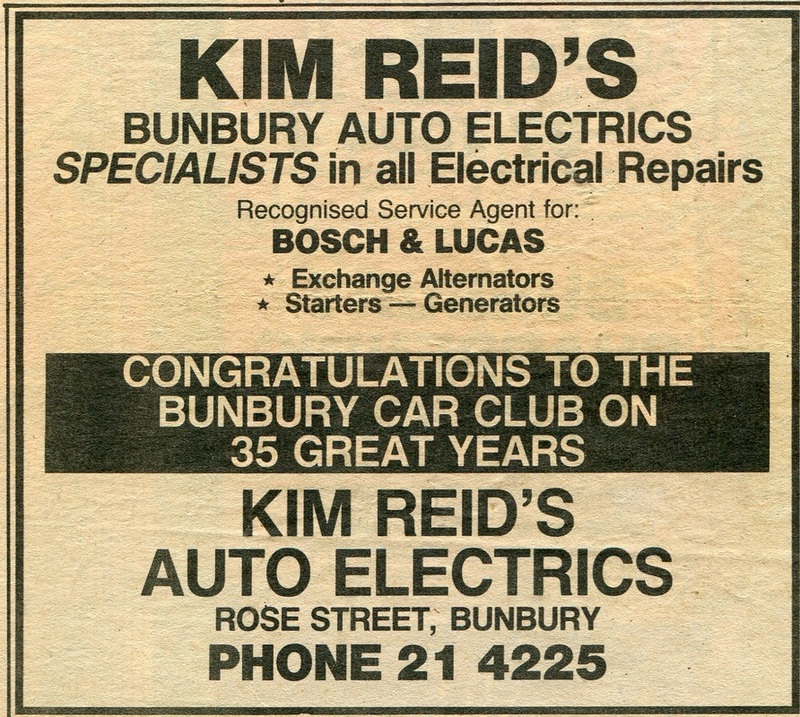 Around this time a very knowledgable man by the name of Kim Abbott appeared on the Bunbury Speedway scene, Kim had a Datsun 260Z he had previously rallied, He offered the car to Mick and they built a speedway car. Unfortunately the car was written off in 1975 after showing so much potential and Mick retired from racing with injury problems. 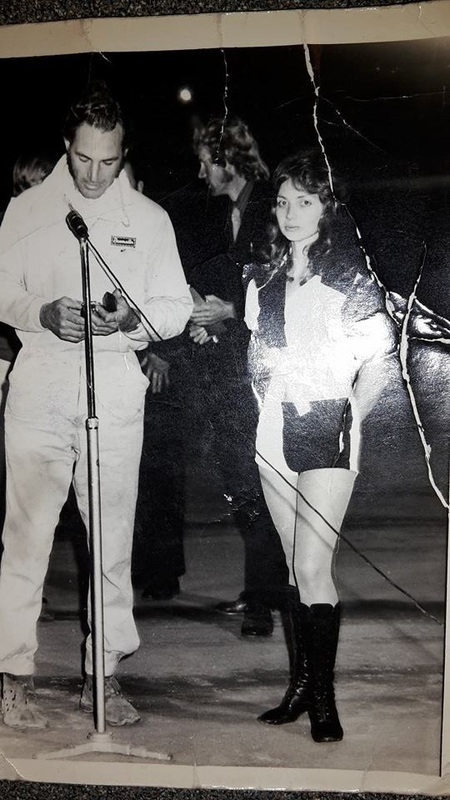 1975 Mick Tripplett is awarded life membership to the Bunbury Car Club, Trophy girl Cynthia Blake presents Mick with his prize, with Bunbury Speedway manager Allan Blake in the backround. 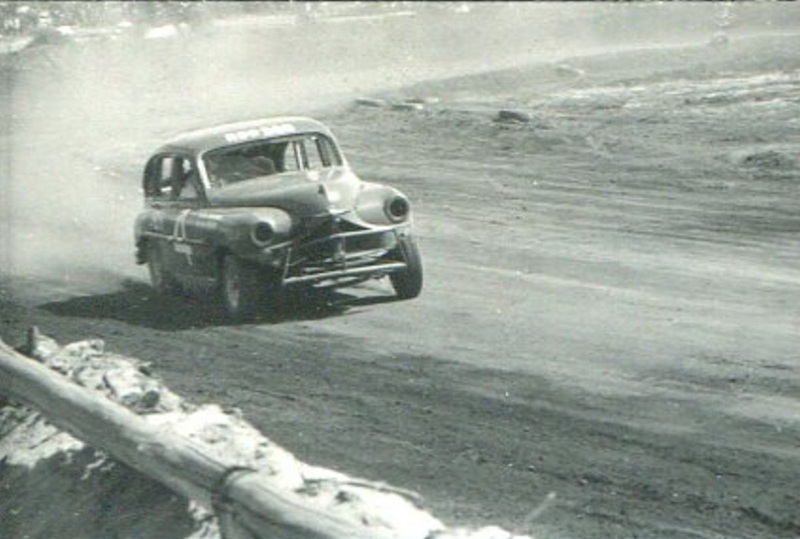 Mick Triplett had been actively envolved in the administration of the Bunbury Car Club, he served as President, Treasurer and Publicity officer and was part of the Bunbury Speedway construction Team. 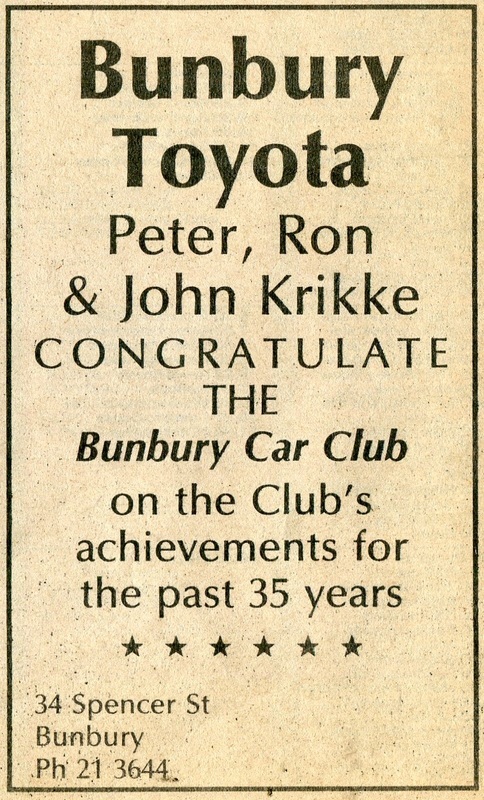 In June of 1975 Merrick Triplett was awarded life membership to the Bunbury Car Club.